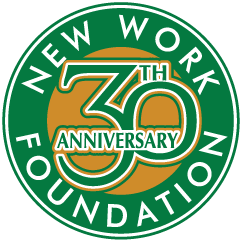 Bobby Gilstrap has been the Executive Director for the New Work Foundation since January of 2017, after serving seven months as the Director of Development. Gilstrap leads the Foundation in “Resourcing New Churches for Healthy Beginnings.” As the Foundation raises and manages financial resources, they assist church planters with matching grants and partner financially with new congregations as they purchase or build their first unit facilities. Gilstrap has also led “Dynamic Church Ministries,” a church leadership consulting ministry which he began part-time in 2006. This ministry provides coaching and training for church planters and ministry leaders. In addition, he has led in the development of training resources for churches and Southern Baptist associations in church planting, evangelism, missions, church health and technology. Numerous workshops have been developed and presented by Gilstrap across the United States for state conventions, associations, churches, the Network of Baptist Associations, North American Mission Board and other organizations. Several areas of experience and expertise have included: church planting, leadership, evangelism, smaller attendance church ministry, social media and technology, healthy church systems, and contextualization. For almost four years before serving the New Work Foundation, Gilstrap served as the Lead State Missionary (or Executive Director) of the Baptist State Convention of Michigan. Prior to that ministry role, he served 10 years as the Director of Missions for Huron and Southeastern Baptist Associations in southeastern Michigan where his ministry included assisting churches with mission strategy, church starting, evangelism and church health and growth. He was also the host and moderator of the national tele-conference of the Audio Conference for Pastors (2006-2010, 2014). In ministry since 1981, Gilstrap has served as a pastor, church starter and as a mentor, supervisor and consultant for numerous pastors and church planters (MI, TX, OK, GA). He has also served several churches in associate positions and as the pastor of four churches. In addition to his extensive ministry experience, he has been bi-vocational, starting several photography businesses, and has been in management and sales for several media, retail and marketing businesses. For almost five years, Gilstrap also served on the National Leadership Team of the Network of Baptist Associations, a professional organization for Southern Baptist associations. In 1988, Gilstrap married Brenda Wallace, a native of Calcasieu, Louisiana. She is a graduate of Louisiana College and Southwestern Baptist Theological Seminary. They have two young adult sons who both live in Michigan. Their eldest son, Robert, is employed full-time by JAC Products in Saline, Michigan and is an amateur storm chaser. Their youngest son, Andrew, is a junior mechanical engineering student at the University of Michigan and presently works as an intern at NASA.